A friend of mine, and a true friend of HR, recently posted on Facebook that he received a mentorship badge. That friend was Steve Browne (AKA – @sbrowneHR – the tie-dyed hippie HR man). Actually, it was his FIFTH mentorship badge. 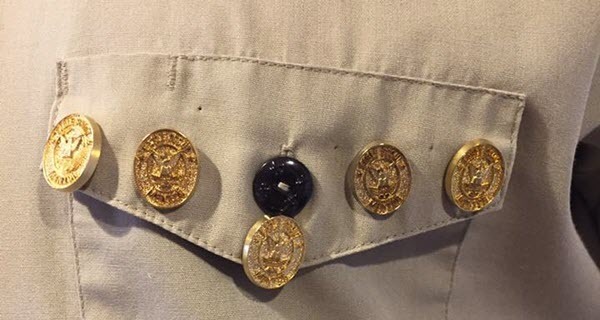 The badges Steve is referring to are given to mentors by newly minted Eagle Scouts to recognize those that have had a big impact on their journey to the highest level in the Boy Scouts of America. If there is one thing the Scouts do great is recognize achievement. Badges, kerchiefs, sashes and mentor pins. They have it nailed. As I researched the mentorship badge I was surprised to learn some of the people who have been Eagle Scouts (ie: Steven Spielberg – whoda thunk that!?) You can read more about the organization here. I have great respect for mentors and masters – those who take the time to counsel and guide young professionals in business. While at the end of the day we may not be “crafting” silver tea services or Ron Swanson quality wooden chairs, there is a lot of knowledge embedded in our employees that could be shared with new (younger) and new (older) employees. Some would say – “But Paul, we do have onboarding with a ‘mentor’.” I’m not talking about onboarding. Some would confuse mentoring with assigning a “sponsor” during the onboarding period. My father was in the Air Force and I still remember meeting the sponsor (and their family so us kids had someone to talk to as well) after we arrived in our new “station.” But that was short-term. Mentoring is a much deeper, longer commitment. When I interviewed an HR person at Zappos years ago, they mentioned that over the cubes of their employees hung “license plates” of different colors. The colors reflected the tenure of the employee. The idea was you could easily see at a glance where the experience and embedded corporate knowledge sat (no pun intended.) They made experience visible to all. Where would you go to get a question answered? All this talk about engagement and more often than not the default solution is to find a technology to ask better, faster survey questions. Let’s try these ideas first and see if they affect your engagement. Identify your experienced employees. For once this isn’t about millennials. Find the pockets of expertise and corporate knowledge. Find a way to identify them to the rest of the organization. I had a friend who worked at a company where key cards were colored to reflect tenure. I’ll bet you could do that too. Train your experienced employees on how to mentor. It isn’t easy or intuitive. Give people permission to ask for help – to ask for guidance – to be vulnerable. Too often companies treat asking for help as a sign of weakness. It’s a sign of weakness in the organization – not the individual. THIS IS KEY. Can you leverage your experience? I’m guessing not as much as you could. And not as visibly as you could. Learn a few things from the Boy Scouts… tie a knot, build a fire and find a mentor!